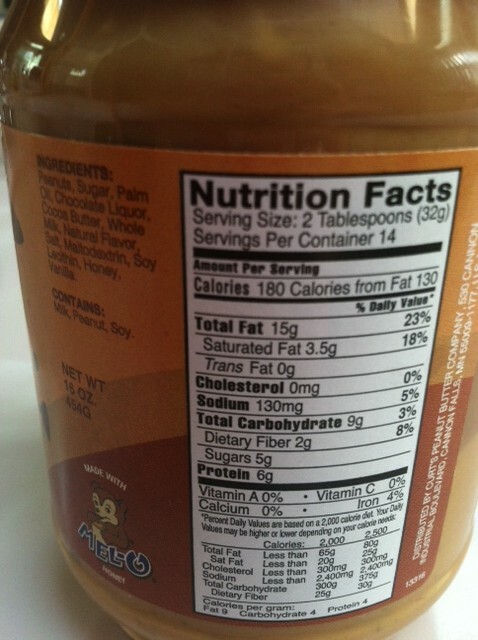 Peanut Butter….one of the greatest and tastiest foods in my opinion. The best kinds to me are the kinds that can be eaten straight from the jar with only a spoon needed. 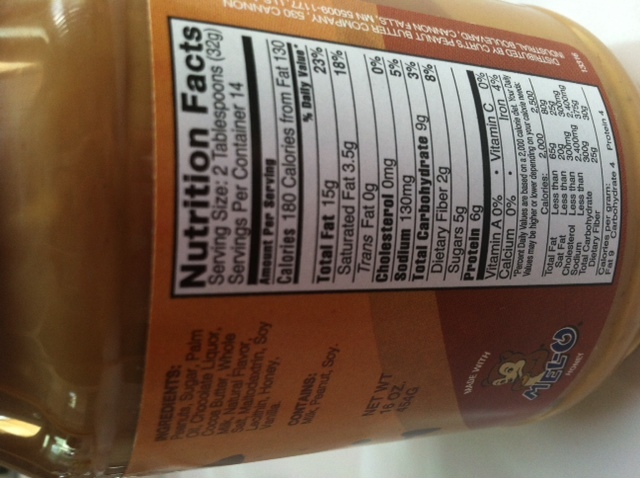 And while I love my good ol’ fashioned salt + peanuts type of peanut butter, flavored peanut butter is freaking AWESOME as well. 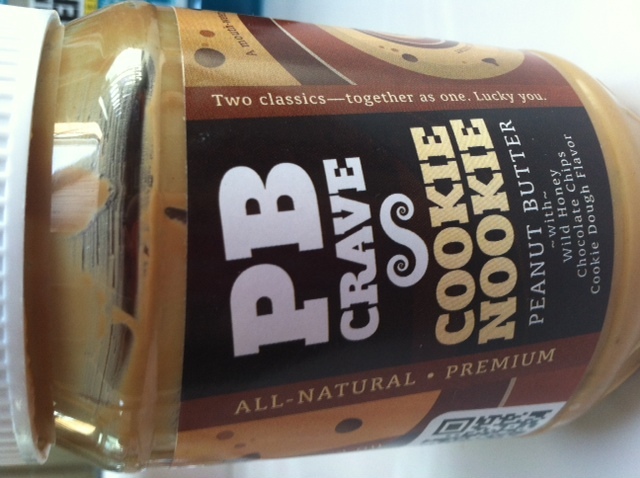 SO, naturally, I was excited to try this peanut butter, by PB Crave called “Cookie Nookie”. 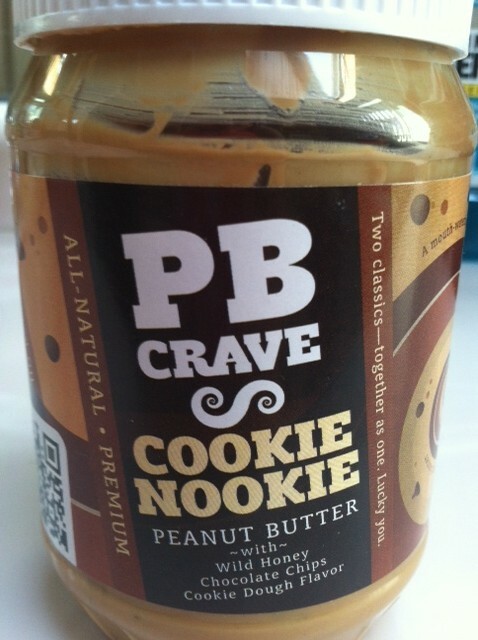 It stated on the front of the jar that it was “peanut butter with wild honey, chocolate chips, [and] cookie dough flavor”. Can we say… drool worthy? 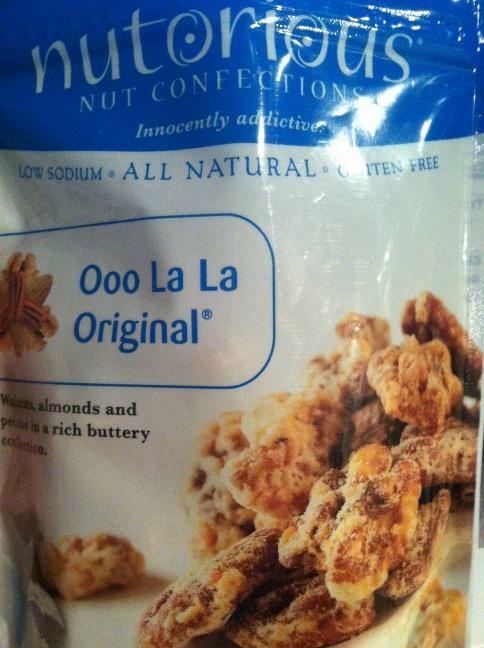 Oh my goodness that sounds so good? Where is my spoon???? 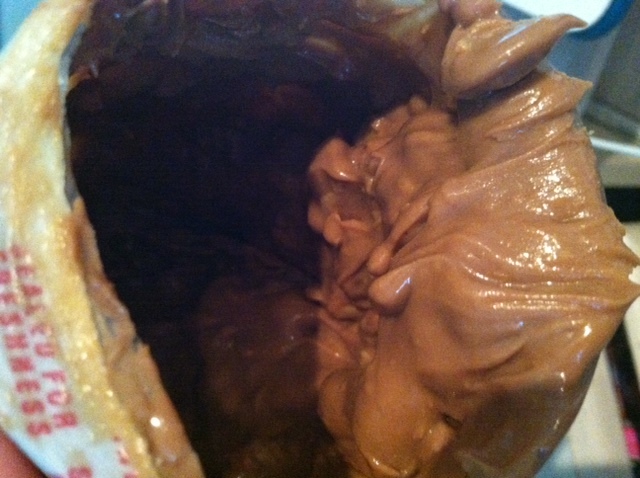 So I stirred this baby up, and put a spoon in. The flavor…? It was alright. Not to say it wasn’t tasty, but I definitely was a bit let down. 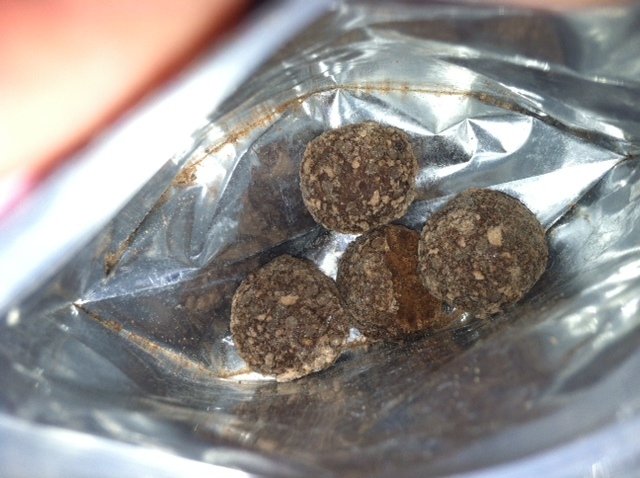 It had a very different peanut taste than what I am used to, a very harsh and just a strong peanut flavor. It had a salty aftertaste as well, which I wasn’t crazy about either. There were tons of mini chocolate chips, but the flavor of them was mild, and seemed to dissipate as I stirred up the peanut butter (which was inevitable, since there was mild oil separation so I had to stir it). It’s a known fact that I love carbs. However, I’ve been upping my protein take as of lately, and on the lookout for yummy protein-filled finds. 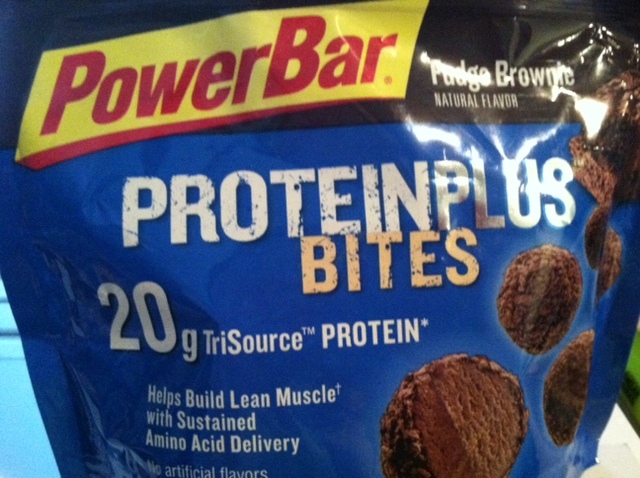 Browsing the grocery store the other day, I found these little gems- PowerBar Fudge Brownie Protein Plus Bites. 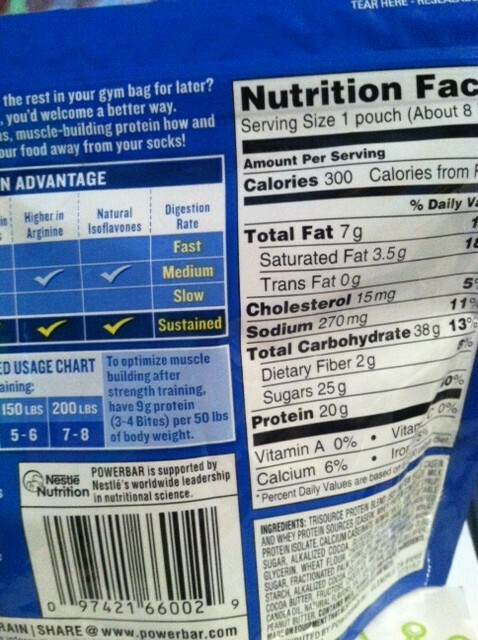 The whole bag I would consider the equivalent of a typical protein bar- 20 grams of protein and 300 calories for all 8 bites/balls. 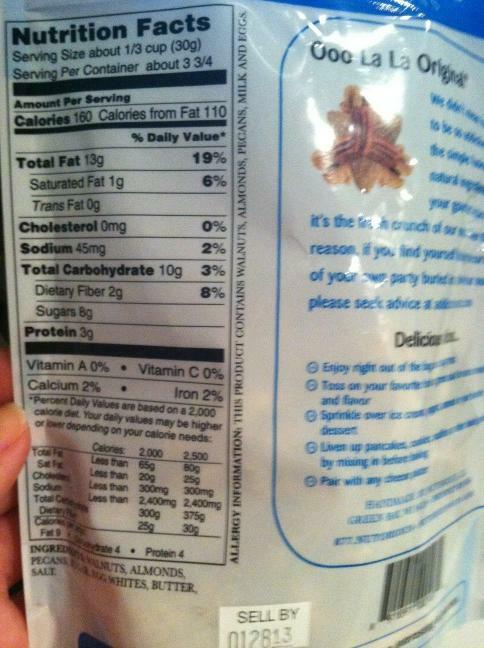 I almost didn’t buy it for one reason, the 25 grams of sugar per bag. However, I figured I could let it slide as I mostly buy/eat low sugar items and I would save these for a post-workout treat. 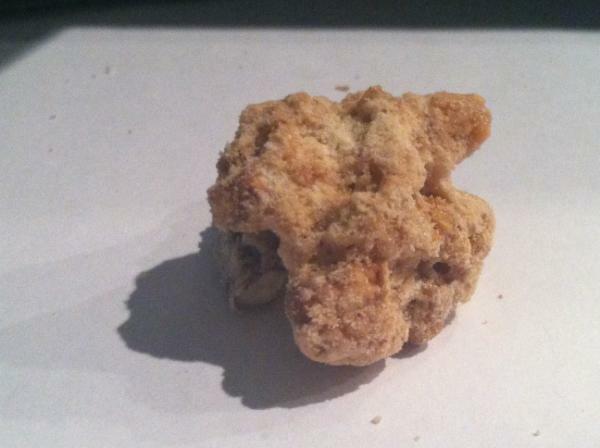 Each bite is in the shape of a small ball, with a crumb-like consistency covering the ball. The bites are dense and chewy, and really quite good. They are sweet and have a chocolate flavor, and the crumbs add a little bit of extra flavor. 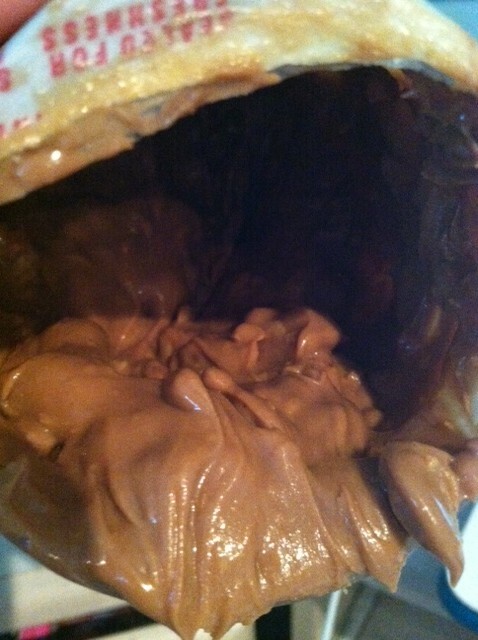 I can definitely taste the “protein” in it, as in it had a slight chocolate protein powder taste, but not too overwhelming. 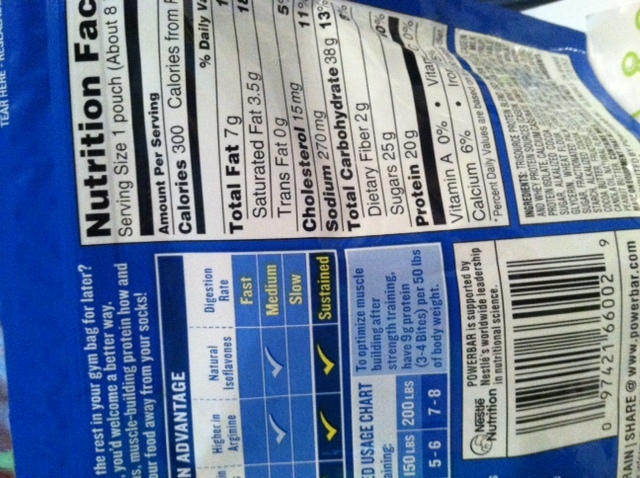 I also like the fact that on the back of the bag it states that it is made with “TriSource” protein, which has a “sustained” “digestion rate” , which I definitely like! Overall, I like these! I obviously wish they weren’t as high in sugar as they are, but I think they are a good post-workout protein-filled treat and quite delicious. Overall, 4 stars.